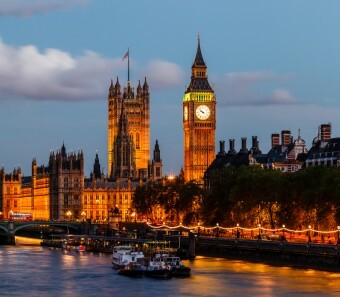 If you’ve ever been to London, or even seen a picture of London, you’ve probably seen the giant clock tower at the corner of the Palace of Westminster. This tower is one of London’s major icons, ranking right up there with red double-decker buses, the London Eye, and Platform 9 ¾. Contrary to popular belief, the clock tower itself is not named “Big Ben”. Rather, it is named “Elizabeth Tower”, after Queen Elizabeth II; named such during her Diamond Jubilee (the 2012 60th anniversary of her accession to the throne). Before that, it was just called “Clock Tower”. 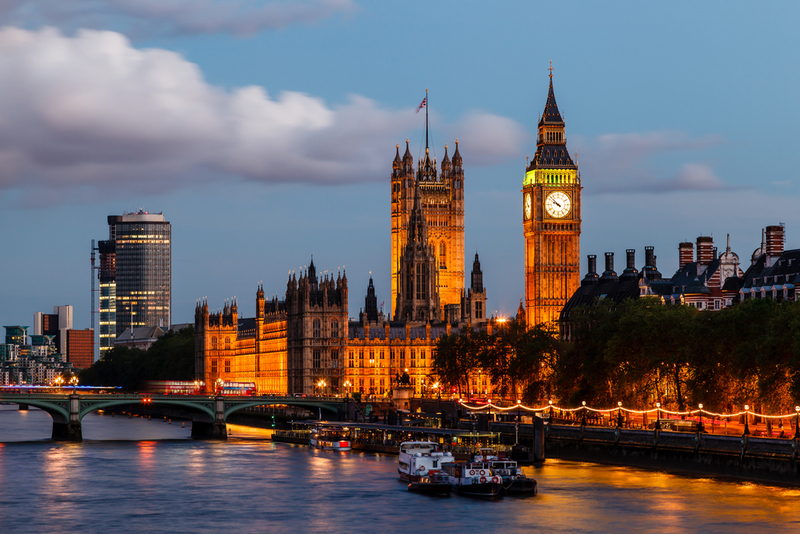 So why is it so often called “Big Ben”? That is due to the great bell inside the tower that chimes the hour out and goes by that name. Over time this has morphed into many calling the clock tower itself that even today, despite the recent, very public, name change. On the side of the great bell there was also supposedly the inscription “Sir Benjamin Hall MP Chief Commissioner of Works” in his honor, so the workers and others took to calling the bell “Big Ben”. If you’re wondering why that text is not inscribed there anymore (if it ever truly was), it’s because the current Big Ben is not the original. The original bell actually cracked before the clock itself was even installed in the tower (more on this later). As to why the name supposedly was inscribed on the first and not the second bell, the reason often given is that Sir Hall was no longer the Chief Commissioner when the second bell was cast. In addition, different founders were used to cast the second bell, so they may not have felt inclined to put the inscription on. As there is little documented evidence on the origin of the name “Big Ben”, we can’t say for 100% certainty that it was named after Sir Benjamin Hall. Another possibility that has been proposed is that it was named after Benjamin Caunt, a very popular heavyweight boxing champion in the 1850s, who was also nicknamed “Big Ben”. Yet another popular theory is that it was named in 1857 during a sitting of the House of Commons. At some point someone, tired of the long meeting over the naming of the great bell, just shouted “Why not call it Big Ben?” as a joke while Sir Benjamin Hall was talking. However, if such a thing actually happened, there should be Parliament records of this, but there is not. Thus, it’s thought the original Hall inscription story is more likely; though in both that story and the Parliament story, it was named after Sir Hall who was integrally connected with the building of the tower, clock, and bells. As to why the clock tower was built in the first place, in 1834, a fire destroyed the Palace of Westminster—then the seat of the British government—leaving only a few parts of the palace standing. The next year, with reconstruction well on its way, Parliament opted to include a clock tower in the redesign. It wasn’t the first clock tower that the parliament buildings had seen. The first one was built between 1288 and 1290 and contained a bell known as “Great Edward” or “Great Tom.” A second tower, containing the first public chiming clock in England, replaced the first in 1367. In 1707, that tower was demolished because it had fallen into disrepair. Instead of replacing the tower with another, a sundial was put up in its place. The tower was Pugin’s last design. In 1852, before work on the tower was completed, Pugin suffered a breakdown. He was unable to speak coherently or recognize his family, and died several months later despite attempted therapy. He was only forty years old and never knew how famous his last design would become. Construction on the tower began September 28, 1843. It was built from the inside out so that scaffolding couldn’t be seen by passers-by. Besides Pugin’s work, Sir Charles Barry also sought additional help when it came to the actual clock mechanism itself. He chose Benjamin Lewis Vuillamy, who was the Queen’s clockmaker, to work on a design, though other clockmakers were also brought in to give their advice and opinions. In 1846, a competition was held to see who would build the clock, but some amazingly tough standards- for the age- were set by the Astronomer Royal, Sir George Airy. Airy stated that the clock needed to strike the hour within one second’s accuracy, and the performance of the clock was to be telegraphed to the Greenwich Observatory twice daily. This harsh criteria caused seven years of delay. When Edward John Dent was finally appointed to build the clock in 1852, he found that the tower was too small for the initial clock design. This caused further delays and alterations had to be made to the tune of £100 (adjusted for inflation by average earnings, that’s about £69,000 today). To top it all off, after finally getting construction underway, Dent died the next year and his stepson had to take over. The clock was finally finished in 1854, costing a total of £2500 to make. The clock’s delay didn’t end up mattering very much, as the clock tower itself had suffered delays as well. The clock wasn’t actually installed until 1859. During the two-year wait, modifications were made to meet the Astronomer Royal’s standards. For instance, Edmund Beckett Denison invented a “Double Three-Legged Gravity Escapement” for the clock which made sure that the pendulum wasn’t affected by wind or other external factors putting pressure on the clock’s hands. Also known as the Grimthorpe Escapement, this revolutionary invention is still used on many clocks throughout the world today. When the clock was finally installed in April 1859, it didn’t work. The original cast iron hands were too heavy to keep time and had to be replaced by lighter copper hands. At last, on May 31, 1859, the clock began successfully keeping time. But the tower wasn’t yet completed—it also needed a bell. Like the rest of the features of the tower, the great bell also suffered delays. The first great bell was cast in 1856 and hung in the New Palace Yard where it was tested every day. On October 17, 1857, as mentioned previously, a crack over a metre long appeared on the bell. Fingers were pointed, but no one fessed up. Because the original bell casters—the Warners—asked for too much to replace the bell, the Whitechapel Foundry got the job for the replacement. The second bell weighed 2.5 tonnes less than the first (13.5 tons instead of 16), but it was still so large that it took thirty hours to winch it up to the belfry in the tower. At last, on July 11, 1859, Big Ben rang out for the first time. Unfortunately, in September of that year, a crack appeared in the bell again. This time supposedly because the hammer used to strike it was approximately two times the maximum weight the original bell founder specified for the bell. This crack caused the great bell to remain silent for a few years. However, in 1863, Airy came up with a solution: turn the bell so that the hammer struck a different spot, make the hammer lighter, and cut a small square in the bell so that the crack wouldn’t spread. His solution worked, and to this day, the same cracked “Big Ben” sits in the belfry, ringing away on the hour. Big Ben has a diameter of approximately 2.74 meters (9 ft) and is 2.29 meters (7 ft. 6 in) tall. The tower isn’t open to be viewed from the inside by general tourists, despite its popularity. Only UK residents can arrange a tour through their MP. To see the bell and inner workings of the clock, you’d have to climb the 334 stairs to the top as there isn’t an elevator. In Queen Victoria’s time, the tower was referred to as “St. Stephen’s Tower” because MPs originally governed from St. Stephen’s Hall. It is thought that the great bell itself was almost called “Royal Victoria” or just “Victoria” after the queen, or “Great Stephen” after the aforementioned St. Stephen. The tower leans slightly to the northwest at an inclination of 1/24 due to ground changes (including tunnelling for the Jubilee line of the underground rail system). The tilt can actually be seen with the naked eye. During World War I, Big Ben was silenced to avoid attack by German zeppelins. During the German blitz in World War II, the clock chimed and the bell rang accurately, but the clock face was dimmed in accordance with blackout policies. Despite precautions, the tower suffered damage to the roof and the clock’s dials in 1941.
says that it was known as ‘The Clock Tower’, but I think that is only because the whole site is about the British parliament building (the Houses of Parliament); prior to the renaming, if you had asked people in England (and I write as a Londoner) “Where is St Stephen’s Tower?”, some (though a minority) would have been able to tell you that it was the clock tower housing the bell called ‘Big Ben’; if you had asked “Where is the Clock Tower?” the response would almost certainly have been “Which clock tower?” unless you happened to be standing in the vicinity of the Houses of Parliament. DONT let wikkipedia or other sites who claim fame without telling you about extensive research. to anything black people have an hand in. Free Africa happens to be correct. Perhaps you should do more research to get to the bottom of the truth. I know it’s hard to believe that Caucasians have always been inferior to African Americans, so that’s why they consistently lie and will pay to cover up the real truth that some inventions are attributed to a Black man’s knowledge and brilliance.